Some of my best memories as a little girl were sitting on papa lap, listening to all of the stories he remembered of “the good” Detroit – the days where flocks of people from all over the South and beyond moved up north in search for better jobs in order to provide a better life for their families. My grandfather was born and raised in a small town in Mississippi, he had very little education and he picked cotton for a living making less than $7 a day. Therefore, moving to up north meant moving to the land of opportunity – where manufacturing was booming and manual labor work was valued. He literally left everything behind and started a new life- where for the first time in his life he made a decent salary, had excellent benefits, and even bought his first Cadillac. My papa was and still is my hero. My papa’s drive, determination, and impeccable work ethic made a decent living for our family – and for that I am grateful. However, growing up I never had the opportunity to see or live in that “good Detroit” he spoke of; the Detroit where opportunity presented itself and as long as you were prepared to excel you would go far. I remember looking into my grandfather eyes, and asking tearfully “Well, what happened to Detroit, papa?” I couldn’t imagine a beautiful place, rich with diverse culture, music, and beautiful landscapes. Born in the 90’s I was born in the era, where the same people who helped build Detroit tore much of it into blighted, crime and drug infested slums. Imagine waking up everyday, and looking out the window to see huge piles of trash laying on the sidewalks, then walking to the bus stop in the wee hours of the morning fearing for your own safety as you pass by miles of abandoned homes, and waiting at those bus stops without streetlights fearing it may never come, because you are trying to go to school, but only to sit there because the district couldn’t afford books, and on top of it all knowing that if you happened to come up missing in such a dangerous place there wasn’t much the Police Department would do because little black girls lives weren’t really valued. This was the Detroit that I was born, raised, and only knew of. How can a city once rich with resources and opportunity turn into such a hopeless pit of nothing? Eventually the decades of political corruption, community degradation, and gang infested neighborhoods ridden with drugs and crime lead us on a path of self-destruction. The people who came before me didn’t leave much for me to believe in and I promised myself if I ever made it out… I would never come back. During my high school years, I would take personal notes in a journal on anything I heard but didn’t quite understand. My best friend Tierra and I would skip class to go to the library to write poetry and google for hours – that’s how I taught myself everything I knew despite our failing education system. I promised myself I would go to college, get an education, pursue my dreams and do whatever it takes to make sure I never have to live thru the struggle again. By the time I graduated College, I couldn’t help but to think of how I still had a whole family I left behind. My grandmother died from cancer (due to the environmental issues of our city) during my freshman year and my grandfather grew so furious with the conditions of the city, he packed his things, moved, and left me the house on the upper east side of Detroit. After ending my Fellowship with NAACP in Maryland, I came back home and decided I wanted to make a difference and ran for office. But, after putting my name on the ballot, gathering the hardest working team of young people I could possibly find, and running a campaign out of my basement I realized the problems of Detroit were far greater than what the eyes could see. The system was broken, and it couldn’t be fixed unless the problems and the people who contributed to causing them were eliminated. At a time when schools are closing, areas of the city look abandoned, crime and violence appear to be running rampant most of the people were still afraid to see change. It was going to take new generation of leaders seeking political office, to maintain high standards and morals not ruling in corruption, not ruling in vanity, but establishing rule using righteous principles in order for the city to live again. After visiting hundreds of churches, speaking at tons of panels, and sitting down with elders and young people alike I noticed a trend – most people wanted to see change but were afraid to make that step towards it. That’s why I became a believer in the “New Detroit.” A city that thrives on education, technology, and entreprenuership to give a new generation a fair shot at creating the future we deserve – not the tangled mess that was handled down to us. The new Detroit has become the land of opportunity – where opportunity presents itself and as long as you are prepared to excel you can go far. History is repeating itself – only this time the brightest innovators with visions and dreams are moving to Detroit to create their own jobs. The industrial revolution has ended and a new era is rising up… As a young person who has been waiting for this to happen my whole life I’m loving what I see. After running for office, I decided to move downtown Detroit. Shortly, thereafter I left my job and start working in the Information Technology field, helping to recruit a new wordclass workforce that will help bring back a new Detroit. I decided that if I wanted to be apart of the change, then I had to go where the change is happening – the place where people can see opportunity and aim optimisticly make change happen. 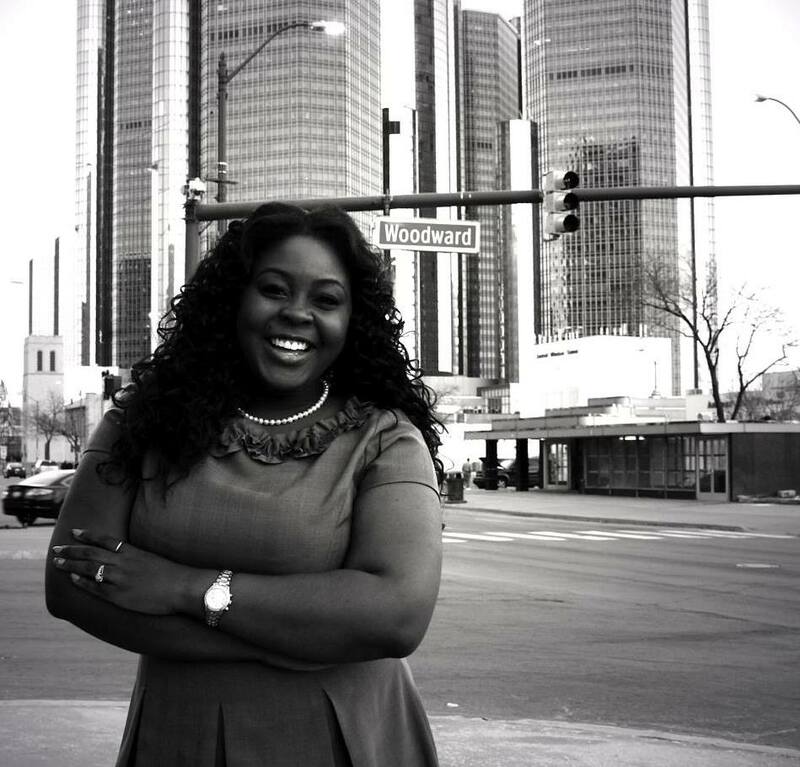 While in the process of releasing my first published works and founding my own consulting business to empower women to be come CEO’s and leaders, I’m so happy to be apart of this movement to help revitalize my city and prepare a new generation of leadership and excellence in the city of Detroit. A new Detroit where I can realistically make a decent salary, have excellent benefits, and even buy my first Cadillac too. The “good Detroit” my papa once told me about can now be my own story. It’s a new year but I have the same wish – A new vision for a new Detroit. Posted on January 3, 2015 January 3, 2015 by missdortheaenriquePosted in AllTagged Detroit, Dorthea Thomas, Entreprenuership, New Year, Progressive Leadership. Previous Previous post: The #ActOnClimate Tour is coming to Detroit! Next Next post: My new book “High Heels and Higher Expectations” is officially published!